Business Development; Philanthropist; Entrepreneur; Farmer; Forester; Sawmill Owner Business Development; Philanthropist; Entrepreneur; Farmer; Forester; Sawmill Owner. 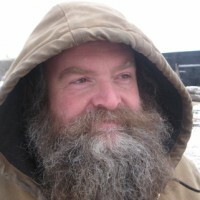 Karl Hallen is the Owner of Farm, Forest, and Fiddlehead Consulting, a farm and forestry consulting service with environmental troubleshooting, agro-forestry, biomass and soil health focus. Karl's sawmill specializes in custom sawing and lumber upgrading services. He also sells and service multiple brands of wood, pellet, and biomass boiler systems, and related hydronic equipment and heating system troubleshooting. Karl is also currently working with the SUNY College of Environmental Science and Forestry, The Department of Forest and Natural Resources Management willow biomass research projects. Karl has a Bachelor of Science Degree in Animal Sciences from Cornell University. He also holds certificates of study in Sustainable Business Management (UVM), and Engineering Product and Services Systems Design (e-Cornell.) He has been a member of the Farm Bureau for 40 years. Karl is also a Net Impact Life Member, NRA Life Member, and has 30 years of continuing education since Cornell with many certificates or training from, UVM, e-Cornell, NY DEC, USDA NRCS and others. Karl is a strong local community philanthropist and Entrepreneur.